Confidence in a woman is essential in order to be successful, at least that is how I like to think and how I accomplish my goals and dreams. To some people confidence means dressing to the 9s, your college degree, having great skin… For me, there are a few different variables but one of them is my healthy long locks. There is something about throwing on a pair of heels and letting my hair down that gives me a boost of confidence and makes me feel like I can take over the world. Ladies, I dare you to try having a bad day and a fabulous hair day all together, impossible. Great hair days are synonymous with feeling joyful and happy. This is why I am happy to share how I treat and maintain my healthy, smooth + shiny locks which a lot of you are always asking me about. I've been sharing my 14 Day Challenge journey with Pantene on IG and today I want to share my results so far. 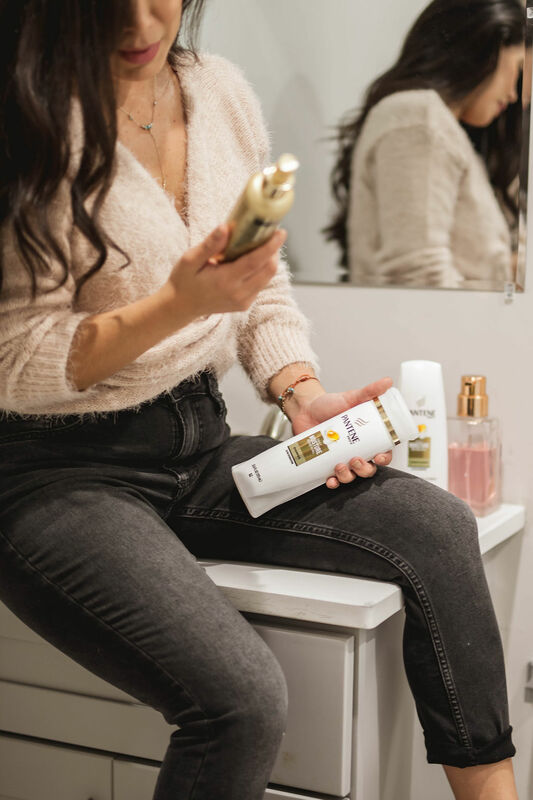 I've been using the Pantene Daily Moisture Renewal Collection Shampoo and Conditioner, this collection is designed for daily use to treat dry hair and you guys know I love everything that will give me the extra moisture that I need, especially during the colder months where your hair texture can change dramatically in between seasons. 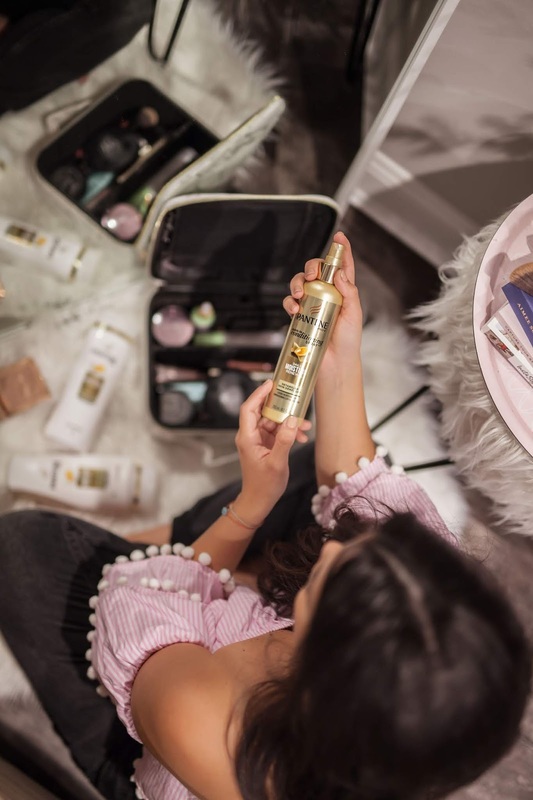 The Pantene Daily Moisture Renewal Collection contains a proprietary blend of nutrients that helps to control hair's moisture levels and prevent damage for a soft, smooth, moisturized feel. This week, CVS has a great deal on the Daily Moisture Renewal Collection so click here to check it out! It's not the first time I am using Pantene, if you guys remember I shared a video a couple of years ago talking about how much I love the brand for my hair and I still feel the same exact way. My hair routine is pretty simple and it works with my type of hair and texture. You should always do what works best for you, your lifestyle and of course your pretty locks. I wash my hair twice a week and use dry shampoo in between washes. But in order to keep my hair healthy and shiny I also use The Pantene Daily Moisture Renewal Leave-In Conditioning Spray. I use it after my washes and I love that it helps to detangle my long tresses, keeps it healthy and smells amazing! Win-win. 2. Get enough sleep! Women who sleep well tend to be happier with their hair. Studies shows that those who sleep too little were more likely to experience hair loss than those who were well rested. And take care of your hair while you sleep – wrap it in a cotton t-shirt or a silk scarf. Do NOT pin it up / put it in a ponytail, which can be too stressful on your hair while you sleep. So what are you waiting for? 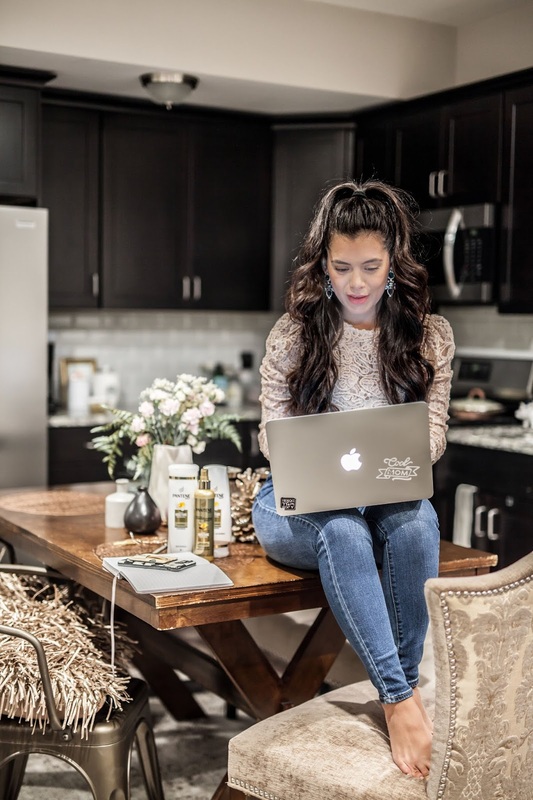 Join me and hop on the Pantene 14 Day Hair Challenge and let's rule the world with pretty locks, boss babe! No bad hair days here... taking over the world one fabulous hair day at a time. This post is sponsored by Pantene. As always, all opinions are my own.